Grava Bikes Revenuer: Getting Rolling- All righty then! Let’s get to finding out about this rig, shall we? The Revenuer frame starts its life in Tennessee and they are hand built and available in stock sizing only. Sizes range from Small through XL sizes, (an Xtra Small is in the works), and they available as a frame/fork/headset only for $1635.00. Bikes with full builds are also available. The RidingGravel.com test bike is set up with pretty much a complete Shimano 11 speed drive train and a set of Boyd Altamont aluminum clincher wheels. These are shod with Specialized Trigger Pro tubed tires on the test bike. Besides the somewhat unknown of the wheels, this looked like a solid, reliable build. When we were taking a little bit of a closer look at the Grava Bikes Revenuer, we were struck by the following which we found on the Grava Bikes site. 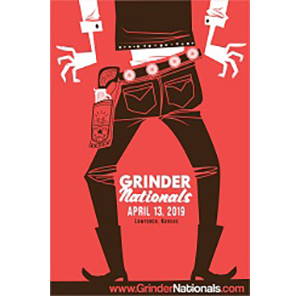 Whether you call them gravel grinders, cyclocross or any road bikes, we design and build bikes to be used for whatever riding style and situation you choose to venture into. The idea is simple – why buy multiple bikes for multiple disciplines when you could buy one bike that handles them all perfectly? Quiver killer? One bike to rule them all and in the Darkness bind them? Or is it a jack-of-all-trades, master of none? Hmm….. Interesting. So, combining this with the comments we quoted in the last post, we have a very performance based design ready to do road, cross, or gravel. The lines had been drawn in the sand, so now it was time to saddle up and see how this rig would do in the gravel road sector. The Revenuer cuts a racy profile. The Revenuer is hand built in the US from a custom blend of Deda and Columbus tubing. Full carbon fork with tapered steer tube and 100x15mm thru axle. The frame and fork have clearance for 40mm tire widths. Frame is powder coated for increased durability in harsh conditions. Geometry: The Revenuer, not surprisingly, features a higher bottom bracket and a slacker head tube angle. The head tube angle is actually a it slacker than normal for a cross bike. The frames were tough for the Grava Bikes crew to get produced while still having room for 29×1.8″ tires and the ability to run a 53/39t crank set with 175mm long arms, but they finally found a builder that could do this. *Note: Grava Bikes sizing runs a little on the “small side”, with a Large being a 56cm bike, essentially. So, be aware of that when checking out this bike. The Ride: Performance based steel bicycle for all roads? Yes. Definitely in terms of fit. Throw a leg over the Revenuer and you notice the low head tube, a saddle to bar drop that is reminiscent of an aggressive racing bike, and how your body drapes over the frame in a racy position. This is no touring bike! You get two water bottle mounts and that’s it on the Revenuer. This is definitely a bike with a focus on going fast. It is no featherweight in the ultra-modern, carbon bike du jour sense, but at 22lbs and change ready to ride with my Shimano mtb pedals, it is no slouch for a steel bike. This is with no crazy parts either. Everything bolted to the Revenuer, besides the wheels, I am at ease with out of the box. All tried and tested stuff here. Put a set of racy carbon wheels on this bike and swap out a few components for weight-weenie stuff, and I’ve no doubt this bike could be a real steel lightweight rocket. Oh! This bike goads me into going fast, by the way. The racy positioning kind of leads you that way, to be sure. I found it to be a rather spirited handling bike when pushed hard and as I hopped curbs, threw it sideways in the dirt, and blasted over some busted up road, the Revenuer just ate it all up. No weird handling quirks, and it was definitely a fun bike when ridden fast. 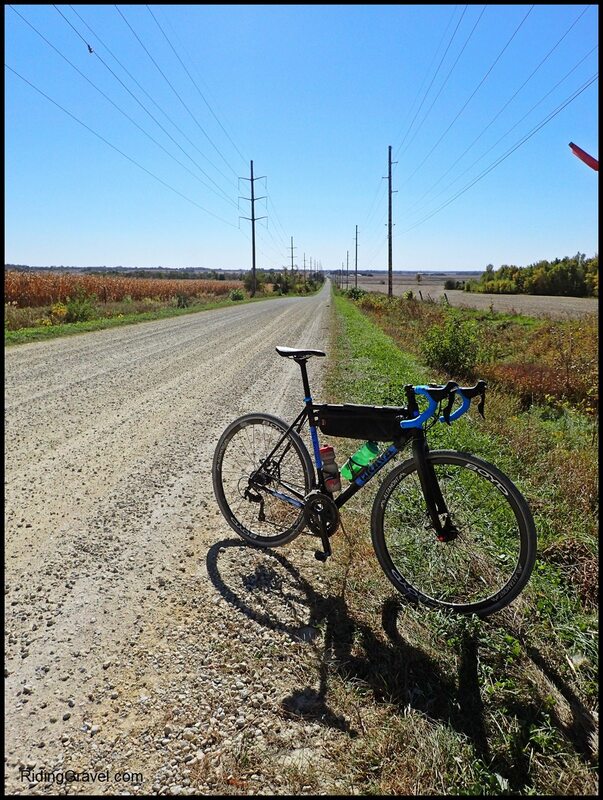 Next up was some gravel road. 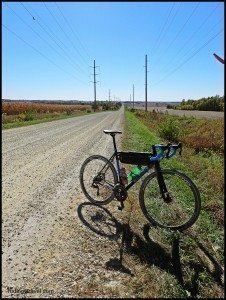 My initial thoughts were that the smallish frame and spirited handling, while good on the urban ride and dirt ride, might not play well in the marbles of Iowa’s gravel roads. However, I was pleasantly surprised after my first outing. There was no jittery, twitchy front end, and the overall feel was that of my other favorite steel frames, albeit more toward the stiffer end of that spectrum. Not to say the Revenuer wasn’t smooth, because it is, but it just wasn’t quite where I think some other frames are at with ride quality on gravel. Still- a very nice riding frame, that is my first impressions of it, at any rate. The TRP carbon fork must be called out here as it was active on the gravel and was lending the bike a smoother feel up front for sure. So Far…. The Revenuer is a race oriented, fast handling bike that challenges you to put the pedal to the metal. Yet it has good behavior out on the gravel roads. 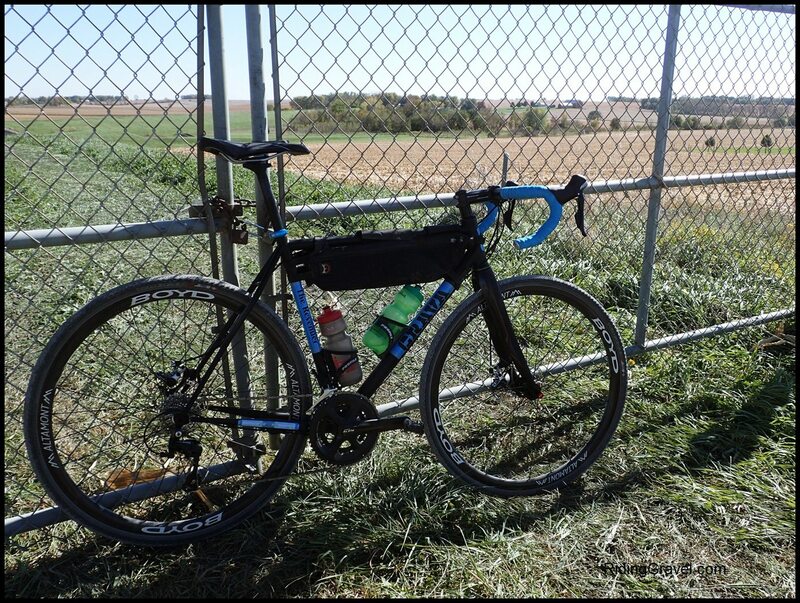 It isn’t going to be your “Swiss Army knife” in terms of being a chameleon capable of morphing from gravel rig, touring rig, etc, but it does do the racy bit as well as you could want in a steel gravel bike. Stay tuned for more impressions in my “Checkpoint” post coming soon. 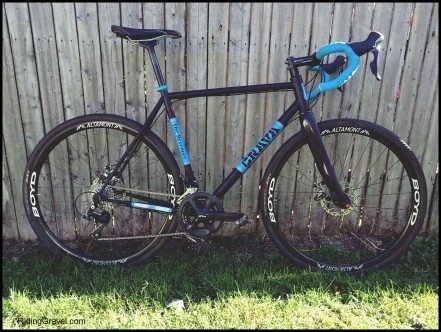 Note: Grava Bikes sent over their Revenuer model for test/review to RidingGravel.com at no charge. We are not being bribed nor paid for this review and we will strive to give our honest thoughts and opinions throughout.